Melissa Romano, the co-owner of Lake Anne Brew House, said she has had interesting experiences with women coming into the pub. They didn’t want beer, and she wanted to change that. Romano owns the brewery along with her husband, Jason. She has made educating women about beer her mission, and part of that goal is the implementation of women’s-only nights at the pub, dubbed “She’s Crafty” nights. The first one took place in December, and the next is scheduled for Sunday night. Lake Anne Brew House, which opened in April, also has a female assistant brewer, Tracy Converse. Romano said with so much female influence on the beer, it is important to the brewery to keep women engaged in their process. “We wanted to make sure that we made special time for women,” Romano said. 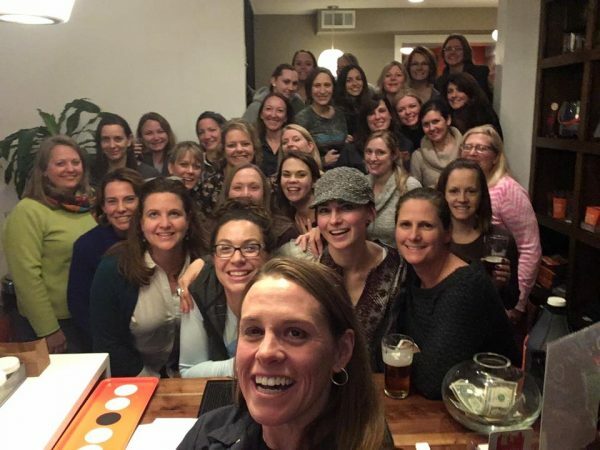 Romano said the women who frequent Lake Anne Brew House have organized as an affiliate of Barley’s Angels, an international organization dedicated to helping women explore and appreciate craft beer. “Girls can really enjoy this experience too,” she said. Romano said the first “She’s Crafty” event was very successful and she is hopeful this weekend’s will be as well. This weekend’s event will include pairings of three specialty beers with different plates of food, Romano said. “We’re going to talk about beer and food pairings and educate the women about not only the styles of beers they’re drinking, but why they taste good with a particular style of food,” she said. The brew house plans to continue hosting the events monthly, Romano said. Sunday’s event is scheduled for 6:30 to 8:30 p.m. at the pub, located at 11424 Washington Plaza West in Lake Anne Plaza. There is no cost, other than the accrued tab. Romano said the event is “come as you are,” with no RSVP required.